When Brazos Keene, a haunted cowboy with an honorable streak, comes across Twin Sombreros Ranch, he finds himself dragged into a vicious family feud. A convenient fall guy, Brazos is accused of the murder of Allen Neece, son of Abe Neece. The Neeces are the former owners of Twin Sombreros, but lost it to the Surface family when their $50,000 herd of cattle mysteriously disappeared, turning the once-proud Abe into a broken man as he and his twin daughters are kicked off their former land. Brazos barely manages to avoid a hanging, but when he falls for one of the Neece girls he decides he can’t just leave without finding out who really killed Allen and what’s at the bottom of this war over the ranch. As he starts to champion the Neece family, all hell breaks loose and Brazos comes across one violent encounter after another. Brazos becomes an instrument of vengeance, furiously shooting his way through the web of lies and greed that now hangs over Twin Sombreros Ranch. 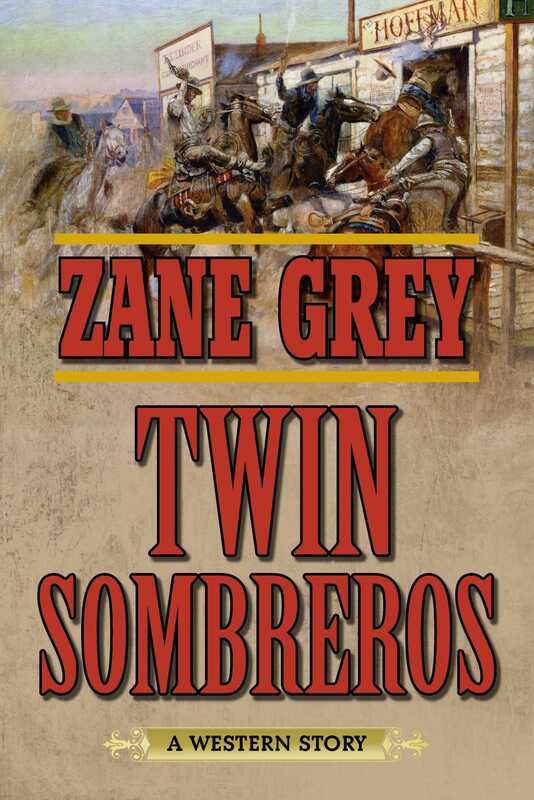 Zane Grey returns with another grand story of action and romance. First published in 1940, Twin Sombreros is a tale from the true master of the Western about a good man doing what he can to right a wrong.